In the world of sports betting as well as other gambling endeavours, the key to long-term success is enshrined in good bankroll management. While there exist more than a few methods out there that could prove worthwhile, the most fundamentally sound strategy that should be prioritize is progressive betting. What is progressive betting? Progressive betting is basically when you stick to a set amount for each bet depending on the size of your bankroll, then increasing the amount of money per bet as your profit grows from the starting point. 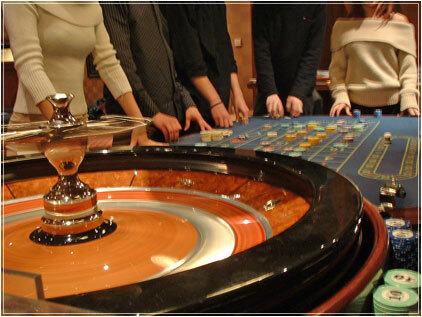 Identical methods are being used alongside many instructional orders on other gambling-like games like craps, blackjack. The recommendation usually varies wildly depending on the author but I personally advocate a more conservative stance than the majority of these authors simply because they tend to endorse a too risky and unsafe strategy once you've managed to grow your bankroll. When betting on sports, discipline does not come easy to implement for a sports bettor. It is a skill that must be conquered for you to have long-term success in sports betting, as long as you took the time and effort to establish handicapping insight that has demonstrated a consistent winning record. Let me give you an example that utilizes an effective conservative approach while at the same time, allows you to keep good discipline. Keep in mind that when gambling, a certain amount of swings will always be involved, therefore, it is crucial to be able to withstand losing streaks that could erase any profit you previously made alongside your initial bankroll money you started with. Let's say you begin with a bankroll of $2,000 in which you could have probably deposit that money in a reputable online sports-book or keep this money set aside for your sports betting future activity. In that case, the recommended unit size should be $44 to win $40 for each game which amount to about 2% of your bankroll in play. More than a few experts would proceed in suggesting you to risk 4 or 5 percent but the risk with a higher figure will be the limitation of your flexibility should you hit a prolonged losing streak. It may eventually take time to build up your bankroll, but you should always remember that sports betting is more like running a marathon, not a print. With everything stated above, let us say that you're averaging 1 bet per day for a full year, and ended up with a very respectable overall record of 210 wins and 150 loses. After taking into account house juice for each bet, you are left ahead with about 50 units or an additional $2,000 on top of your initial investment. With that conclusion, your initial bankroll of $2,000 would have been doubled in a span of a year to $4,000. Now that your bankroll is standing at $4,000, you could ante up your bet to $88 from the previous initial bet size of $44. So you will basically retain the same 2% of your bankroll put into play but you will now be yielding twice the amount of profit that you started with. Logic should take hold with the fact that since you were able to double your starting bankroll of $2000, you would have probably achieved a proven track record as for your betting performance, thus allowing you to risk even more of your bankroll. With everything being said, you still do not want to go crazy here and put all your profit at risk by increasing your bet size too much. Instead of going big, a conservative unit size bump of about 3% would yield a much better win percentage while still having some type of protection against cold streaks to fall back on. In this case, you may start entering bets of $120 to win $110 for each game which is just about 3 percent of your precious bankroll. If you decide to use the 3% method, all you'll need to do is clear about 17 units to make your next $2,000 as opposed to the 50 units that would have been necessary to profit the same amount when you started. As soon as you get more comfortable with this skill set and start seeing consistent positive results, the next step could be to start rating the quality of your picks and then incorporate it into a big strategy that could improve your betting system. Let me give you another example to clarify things further. Let's say your standard unit size is $44 per bet but on certain occasion, you feel more confident about certain games. In this case, you can announce that your confidence level for this particular game is so high that you will bet "2 units" instead of the original and standard "1 unit." That should mean your wager would have to increase from $44 to $88 because it is now a 2 unit play. It is of course important to keep record of your larger unit size so that you know whether it is worth increasing your betting size. Unless you can demonstrate a winning rate of about 65% on those high confidence 2 unit size bet, it would not be worth going through with it. At this point, it would be best to keep it simple and fully go back to the original 1 unit size bet for all bets. So remember, you should not force yourself to increase the size of your bet if the amount of money that would be needed makes you uncomfortable. Keep a performance track record so you know whether to discontinue certain part of your betting strategy. You will surely gain more experience and confidence as you go and this will allow you to be able to analyse your situation and make the needed fix when it requires it. In the meantime, the best strategy that I would recommend to someone who is just getting started is to keep their wager at a consistent unit size, especially if it is showing a winning rate. There is simply no need to over complicate things too soon and risk losing it all because you got too greedy.